WOO HOO!!! It's time to pack up the festivities and get back to life as normal ... or better since it is a new year! It's time to start working on your New Year Resolution to get in shape and shed those holiday pounds ... 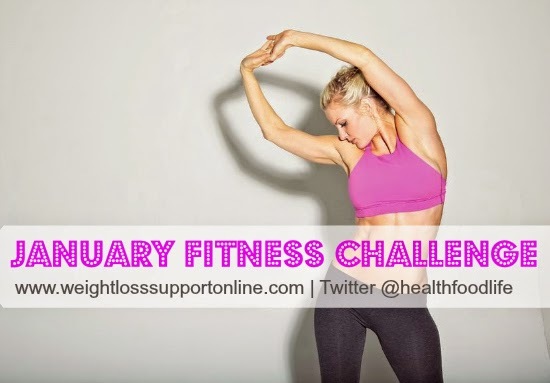 It's time for our January Fitness Challenge - READY? Here are the details of the challenge; the exercises are the same as last year to help us easy back into exercise and exceed as we proceed through the year! REMEMBER: Summer bodies are created in the winter, so NO EXCUSES!!!! Each day in January, I will post a new challenge to this blog and announce on my Facebook page, then link the fitness challenge to this blog post (scroll down this page to see), so you can find it when you want it. Make sure to save this page to your favorites / bookmarks to follow along with us live. Each week in January, I will choose a participant at random for a special gift in appreciation of their doing the challenge with us, so make sure to LIKE and / or COMMENT each day after doing your fitness challenge. Your "Check In" will let me know that your serious about getting healthier, losing weight and / or getting in shape this 2015 New Year, as well as to add your name to the list for the current weeks gift giveaway! What if you miss a day of the fitness challenge? No worries! You can go back to do the workout(s) and "Check In" with COMMENT on the blog post with the challenge!!! The exercises are easy enough to double up when you need to. In fact, you can do one in the morning and one in the evening, or even do more than one rep of each if you are at a more advanced fitness level. Can I share with my friends, family, followers or group? Absolutley! You can use the SHARE buttons at the bottom of this post or copy / paste the blog link to your Facebook or Google+ page; if you would like to feature it on your blog, use this page to CONTACT ME for details! This is not a contest or sweepstakes ... Just a simple giveaway from the kindness of my heart and to make this challenge more fun!!! I will dig into my "stash" of products based on the list I accumulate from the "Check Ins" each week, post the name and runner up --- You have until the end of the month to claim your gift! Happy New Year ... May it be a happy, healthy and abundant one for you! Don't forget to check out this Skinny Fiber Promo good this January for all new customers! You can get a free gift from the company in addition to free Skinny Fiber - double your potential to lose weight with both the weight loss and this fitness challenge together. Imagine how incredible you'll look and feel after doing the 90 day challenge! Also, if you have been bouncing around the idea of becoming a distributor, NOW is the time for sure. Visit the Skinny Fiber Business page to learn more about this incredible opportunity for you! Our team is here to help you every step of the way. You just need to really want to do this business, have a computer and computer skills, and commit to doing this for at least 3 years!!! !